Birmingham is very well known for its mouth-watering food and vibrant restaurants. From cheap, delicious food to high end, expensive out of this world food, Birmingham has every kind of restaurant imaginable. From the big brand names to the little hidden treasures, whatever kind of food you fancy, Birmingham offers it all. I have chosen my top three restaurants in Birmingham and although I was hard to choose, I know that ‘Timeout’ have almost the same opinion as me. Adam’s restaurant is one of the most amazing places to eat. With a menu that is sure to get you excited, Adam’s restaurant is very different from any other within Birmingham. With a menu consisting of food such as, bacon jam, pig’s trotter and smoked eel, it is a restaurant that is for people with a certain palette. Adam’s restaurant has a more expensive menu with providing wood pigeon, mallard and hare. This restaurant is a definite must as its mouth-watering food and lively atmosphere makes it an amazing experience. For a vegetarian, this restaurant is heaven! With it being popular for its excting vegetarian food, it is also popular for its veggie twist on the famous fish and chips. For around £30, you are able to get a three course meal with a complimentary cocktail thrown in too which is also why it is very popular. 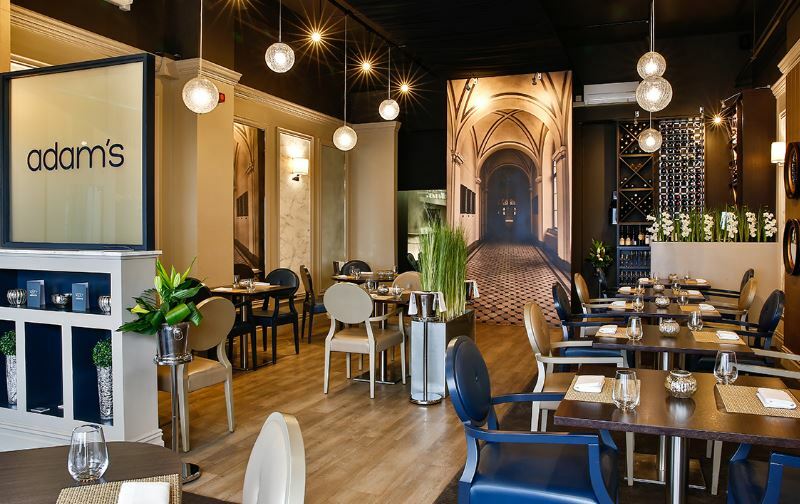 With a cocktail menu that will definitely get you excited and a food menu that brings a new meaning to veggie food, Bistro 1847 is a well-known restaurant within Birmingham and will always be popular with its regulars. Bistro 1847 can bring veggie food to life and make it seem so exciting compared to the normal vegetarian stereotype being boring. Bistro 1847 replace meat with things that vegetarians would have never dreamed of doing and trust me, it works very, very well. Byzantium is a beautiful tapas bar on York’s Road. York’s road is known for its vibrant wine bars, relaxing cafes and the famous Hare and Hound pub but York road also has, in my opinion, the best tapas bar in Birmingham. This elegant tapas bar is known for its beautiful food and its special wine list. Offering the best wines around and a different kind of Spanish tapas from the standard Spanish tapas, this is a very popular bar. Those are my top three places to eat in Birmingham and are definitely some of the main treasures that Birmingham has to offer.